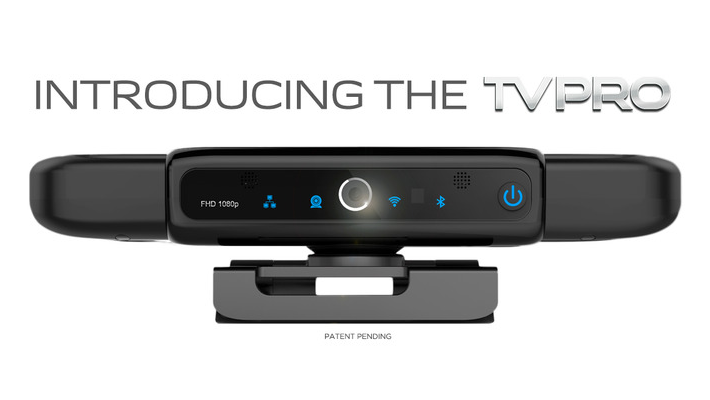 I had the chance to look into the Kickstarter campaign for a new set-top box called TVPRO. I will admit that I really like the idea behind this device, but am afraid that it is just a little too late to the smart TV party. The likes of Google's Chromecast and other vendors' running Google's Chrome OS are already on the market, tackling much the same tasks. In the Google camp again is new news about the upcoming Android TV. I won't even go into all of the other offerings, including Apple TV, Roku, Amazon Fire TV, TiVo and more. With all of this competition already at market, TVPRO must have something up its sleeve to make a go of this? Is it their fitness training system called Reshape, perhaps. In my article over on Android Authority, I focused on the technical aspects of this Android powered device, head on over there if you want to see the particulars, for now, I'd like to touch on the fitness program. Reshape is a system of live personal trainers that are ready to connect with you via TVPRO on a one-to-one basis, or group call video chat. With the embedded 1080p webcam on the TVPRO, the trainer is able to see you as well, bringing the convenience of a health and fitness trainer to your living room. Now, as great as that sounds, how many of you have a living room setup that allows you to exercise in front of the TV? And how many of you have any semblance of exercise equipment ready to roll? I am being hard on TVPRO and Reshape. This is not my intention. I genuinely am inspired by the project, I like the idea of a video conferencing capable TV set-top box. I also hope that the societal norm for promoting exercise and health continues. However, the device will be mediocre in specs by the time it is released, and, should I ever get the chance to play with a unit, I would end up attaching it to my computer screen instead of my TV, to use for business related Google+ Hangouts. What do you think, as cool as TVPRO looks, do you think it can succeed? Or, is the idea of a camera watching you watch TV just too creepy?